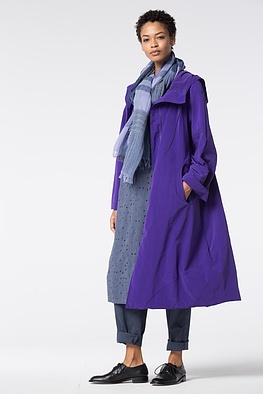 You will not frown upon summer rain and spring storms in this OSKA coat – they will be welcome! Its design concept: a lot of function, a lot of comfort and even more coolness. 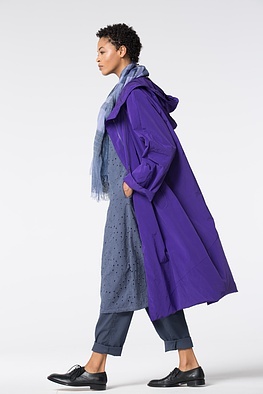 This is because of the wonderfully light high quality rainwear material and voluminous design which gives this coat a flowing, totally laid-back silhouette. Some further plus points are: a sporty zipper, drawstring and stylish pocket openings. A real statement-piece! 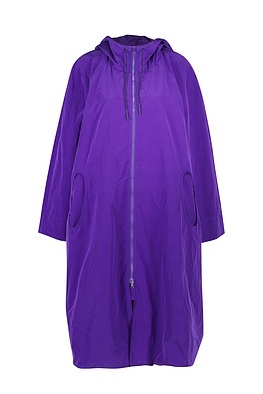 Water repellent coating may be less due to repeated washing. Wash seperately, do not remove spots lokal, ironing inside out.